Many years ago, I wrote a blog post about how much I loved the original quartet of .hack games. Despite their flaws, I enjoyed the hundred or so hours I spent with those games, and regarded .hack in general as one of my favourite franchises. Then, time passed, the .hack franchise entered its second generation. The World, the fictitious MMORPG around which the franchise, was succeeded by The World:R2, a new game with new characters. My early enthusiasm for this second wave was swiftly dampened, however, by 2006’s .hack//Roots – an anime so excruciatingly dull that I gave up on it halfway through. This left me less than desperate to get stuck into Roots’ sequel – a trio of PS2 games known as .hack//GU. Although the PS2 GU trilogy was never released here in the UK, I did eventually snag myself a set of US copies on eBay some years later. Still, it wasn’t until a PS4 remake hit the shelves last winter that I finally made it past the first dungeon and began my GU journey in earnest. Unfortunately, it turned out to really not be worth the wait. The gimmick of all the .hack games is this – you play an offline simulation of an MMORPG. So not only do you play the RPG itself, but you also get various faked up emails and bulletin boards to read along the way. In the original .hack series, I found this charming and fun – a way to play something that felt like an MMORPG without ever having to interact with another human or buy a network adapter for my PS2. In GU, the same setup has been employed to much more tedious effect. There’s no flow to the game – you log into The World to view a cutscene or complete a dungeon, then before you know it, your player character says “better log out and check my emails”. You log out, read an in-game to advance the plot, then head back in to The World for a few more minutes. Repeat ad infinitum, and you’ve got yourself a game. But what of the actual gameplay within The World? Is it good enough to make up for the constant interruptions to check your email? Sadly, it is not. As per the original series, .hack//GU is primarily a dungeon crawler, but again, the newer series somehow makes the experience so much worse. It’s not that the original .hack series was even that great of a dungeon crawler, but the vast outdoor areas and procedurally generated dungeons always felt like great environments to be in. They were graphically pleasing for the era, and fun to explore – especially when you got to ride a grunty around. Although the AI of your teammates wasn’t amazing, your player character had a good range of melee and magic skills to call on, and the Data Drain mechanic added a unique element to proceedings. Data Drain was an ability integral to the story that let you rewrite a monster’s data to make it weaker. Some foes could only be defeated by being Data Drained, but the ability came at a cost – the more frequently you used it, the more likely that something untoward might happen, including the possibility of a random game over. In the GU era, everything feels far less impressive. For most of the first game, you only get two different types of dungeon to explore – cave and field. Each is made of a set of connected rooms – so even the outdoor areas feel small and cramped. By the time you get to the third game, there three more types of dungeon environment, but by this point you’ll be sick of the sight of them all. I would even go so far as to say that they are less graphically appealing than the environments of the original, which included such delightful areas as vast snowfields and flesh-walled dungeons. Compared to the original release, the GU remake does at least make it faster to blaze through these areas. Running speed has been significantly increased, and battles have been made easier. In response to the complaint that you were stuck playing as a Twin Blade in the first game, here your character gets to learn multiple jobs, enabling him to wield twin blades, swords, scythes and even dual pistols. Whilst it does feel as if battles are less strategic and more button mashing in the new regime (perhaps in part due to the lowered difficulty), I still appreciated being able to wield a variety of weapons, and switch between them on the fly. The Data Drain mechanic has changed beyond all recognition. Instead of being an ability you can use at any time, Data Drain is now only a feature of special Avatar battles. At certain points in the game, the play style switches to that of a space shooter in which you must wear down the defences of infected data monsters. Succeed, and you’ll get a limited time in which to fire off a charged Data Drain and end the battle. Fail – because you got hit or didn’t aim correctly – and the battle continues. The most important boss battles of the game are all fought in this format, and whilst it should be fun to mix things up a bit, they are more to be endured than enjoyed. Well, if the gameplay isn’t all that great, then maybe .hack//GU can redeem itself with its story? Alas, here again the series manages to disappoint. The games follow on from the .hack//Roots anime, continuing the adventures of Haseo in The World:R2. 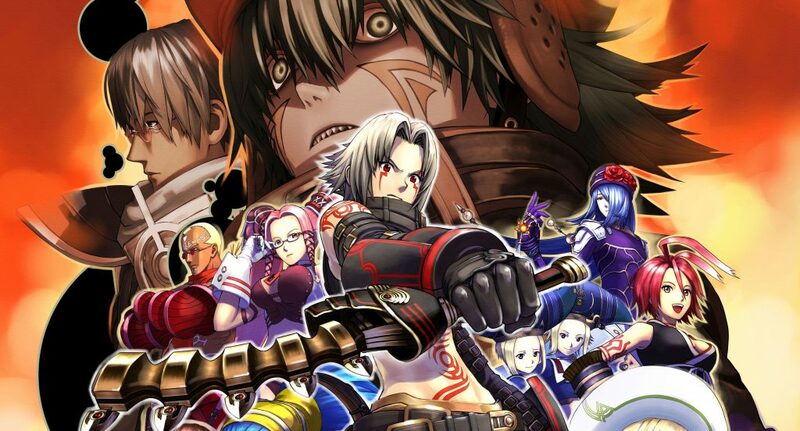 Haseo, the legendary player killer killer (PKK) known as ‘The Terror of Death’ is on a quest to track down Tri-Edge, the mysterious phenomenon that sent his friend Shino into a coma. When he stumbles onto a lead, however, he is Data Drained by an NPC who resembles the original .hack’s Kite, and his avatar is reset to Level 1. What follows is Haseo’s attempt to regain his strength and track down Tri-Edge for a decisive confrontation. Where the original .hack lured you in with its slowly unravelling mystery, GU basically coasts along, rarely inspiring you to care. Haseo is of course a selfish jerk who spends most of his time being rude to his allies. Sadly, some of them have such low self-esteem that they just accept his behaviour and blame themselves for provoking him. In many ways, the game is less the story of finding out about Tri-Edge and the mysteries within The World:R2 than it is “Haseo’s quest to become an acceptable human being”. The three main instalments of the game are each structured around a big player versus player tournament which Haseo and his party must ultimately win. It’s certainly an easy way to generate three games’ worth of content, if a bit of a lazy one. This remastered version also comes with a brand new volume 4, which is basically the equivalent of a bonus DLC chapter. There’s a new form for Haseo, an extra dungeon to navigate, a new character for your party – and other than that, most gameplay features are disabled. There are a handful of other aspects to GU which shouldn’t pass unmentioned. First off, remember the item completion quest in the original quartet, and how it was both hampered by your limited storage capacity and the fact that it only showed up in the fourth game? Well, the developers haven’t really learnt their lesson when it comes to poorly implemented sidequests. This time around, there’s a brand new selection of ‘quests for completionists’, including such delights as repeatedly finding a ‘mecha grunty’ in the field, collecting ‘Chim Spheres’ from special monsters, and delivering flyers to every single NPC in The World. Completing all of these will take a while, artificially extending the length of what are really quite short games. Fair enough, you say, many RPGs do similar, so why pick on .hack//GU? Well, aside from the general tedium of completing these tasks in this or any other game, for this series, there’s a catch. Progress made on any of these quests in one instalment does not carry over to the net instalment. In fact, you are encouraged to take on each quest anew in all three volumes, so to fully complete all the quests and reap all the rewards, you must do each incredibly tedious sidequest not once, not twice, but three times. How’s that for crushingly depressing? Secondly, I could hardly finish off this review without mentioning the changes to .hack’s cute mascot animal species, the grunty. Long-time readers of this blog will know that I am a big fan of grunties – in fact, I still own and treasure the grunty plush I got way back in 2005. But .hack//GU changes grunties in a way that was initially hard to accept. No longer are they noble steeds that you raise from infancy by presenting them with a range of foodstuffs harvested from dungeons. Now they have a smaller, humanoid shape, and act as guild mascots, with each grunty physically resembling its guildmaster. Although the new grunties are rather cute in their own right, this change certainly took some getting used to. As for transport, well, eventually you get access to a motorcycle – and of course a set of quests where you must chase down those annoying goblins from the first games. The increase in running speed for the remaster essentially renders the motorcycle pointless, but there are achievements for riding it, and a neat graphic when you successfully ram into an unsuspecting monster on the field. Even though I loved the first generation of the .hack franchise, sadly the follow-up has been an all-round disappointment. .hack//Roots was a dull anime, and .hack//GU is a mediocre set of games. This remaster does have a few improvements, but it’s not enough to polish GU into a truly good game. In my review of the original four .hack games, I came up with a list of improvements I wanted to see in the sequels. Did .hack//GU actually deliver any of these? More individuality for characters and classes; many of the usable characters are pretty interchangeable in terms of skills and stats so it usually falls to personal preference. This remains much the same. The Epitaph Users do have their Lost Weapons, but otherwise one member of a class is functionally much the same as another. Personality-wise, though, they are very different – Silabus and Gaspard could never be mistaken for Endrance and Sakubo. Easier way to locate and/or contact specific NPCs who you want to trade with (current method involves warping to different servers until they appear online). Nope, this is just the same as the previous games. Grunty farm sub-game enabling unlimited grunty breeding. No longer applicable due to the new type of grunty in these games. Not really applicable now that we’re on The World:R2. Wider variation of commands to issue to AI-controlled players; for example, commanding them to attack with a specific element, or have them repeatedly use the specified skill instead of just enacting it once. This hasn’t changed much from the original – there’s still the usual range of general strategies, or you can get an ally to use a specific skill by delving deep into the menu. Increase number of items player can carry. This was actually fixed for the remaster – you can now carry many more items, and storage gets increasingly better over the course of the games. As before, you only get to play as a single character – Haseo – but as mentioned earlier, he has greater versatility in terms of weapons and skills than Kite, so this has been partially addressed. Make the original Lia Fail Root Town available at the end of the game. Since The World:R2 is completely different and has mostly new Root Towns (Mac Anu remains, but has been remodelled), we will never get to experience the original Lia Fail. This entry was posted in Games and tagged .hack. Bookmark the permalink. IF IMOQ WAS THAT MUCH BETTER, THEN WHY DID NAME YOUR PAGE AFTER SOMETHING BASED IN THE G.U. SERIES?